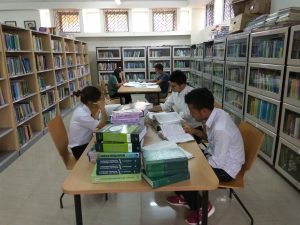 The College library possesses a total collection of 7203 volume of books including Handbooks & Encyclopedias apart from non-book materials such as CDs, CD-ROMS, Maps, etc. The Library also has a good collection of Reports. It subscribes to three Indian Journals and eight popular Magazines, three National Dailies and two local Dailies. The Library has access to more than about 3500 e-journals through CeRA (Consortium for e-resources in Agriculture, ICAR). All in-house operations in the library are fully computerized using networked version of LibSys-4 Software with OPAC facilities. The entire Library holding is available in Machine Readable Catalogue (MARC) and the computerized bibliographic information is made available to users through LAN using OPAC. 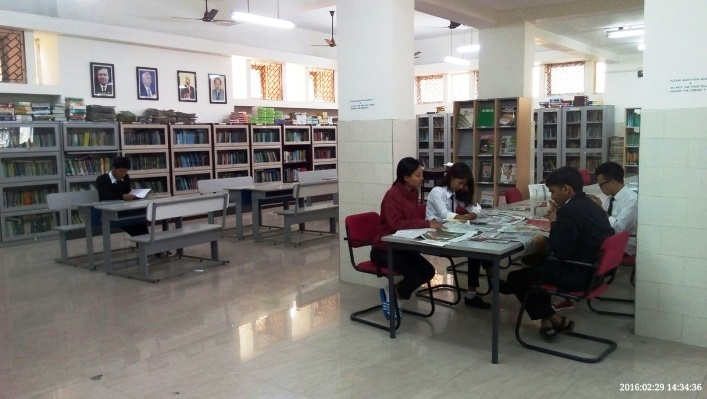 The Library also provides photocopying facility to its users on nominal charges. The Library remains open from 9.30 a.m. to 6.00 p.m. in winter and 10.00 a.m. to 6:30 p.m. in summer on all working days. The circulation facility is available between 9.45a.m. to 4.15 p.m. in winter and 10.15 a.m. to 4.45 p.m. in summer. Journals/Reference Books/Magazines/CDs & DVDs/Dissertations/Theses are not generally issued to take outside the Library. No books or other reading materials are issued without production of Identity Card. Issuing through proxy is not allowed. While issuing, borrower has to sign on the ‘Issue-Slip’. While Returning, ensure that the ‘Return-Slip’ is signed. Photocopying facility is available in the Library in limited quantity without violating the “Copy Right” rules against Xerox coupons at the rate of Rs. 0.50/- only to the bonafide members of Library.